Nell Stark’s All In, published this month by Bold Strokes Books, is a sweet romance that involves high-stakes poker and Las Vegas. Annie Novarro, the self-styled “Nova” of online poker-playing, has a dilemma. When she loses almost all of her substantial winnings due to a federal crackdown on online gambling, she must either face facts and give up her career, or learn to hack it with live poker players. Unfortunately, playing poker with opponents who are in the same room requires a poker face, something that math whiz Nova hasn’t had to worry about in the past. My Pride Week Blog for the Liz McMullen Show has been posted. Is Pride still relevant in 2014? Is it easier for LGBTQ youth to come out nowadays? Have we lost the true meaning behind Pride? I’ve shared my thoughts and would love to hear yours. And this just in…oh God, I knew it was coming. The L Fest artist of the week videos have kicked off with the indie author panel who may not appear as you expect… Have a look at this short fun video. Kiki Archer‘s done a typically fab job of making it a lot of fun with an effortlessly cool appearance from Jade Winters. Just leave a comment and your e-mail address on the True Colorz page (link below). You could win a signed copy of my debut novel Secret Lies. (Goldie 2014 Awards Finalist in in YA Caregory.) The winner will be drawn at random on the 8th. Good luck! 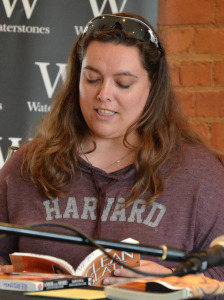 News Roundup: Lambda Win for Andrea Bramhall, Free Stuff from Clare Ashton & Amy Dunne, L-Fest & BSB Fest, Blog Hops, Reviews, and Lots More! 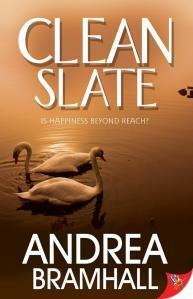 Without further ado, let’s kick off another mammoth week of news by saying a huge CONGRATULATIONS to Andrea Bramhall, whose second novel Clean Slate was awarded best Lesbian Romance at the 26th annual Lambda Literary Awards on Monday evening. The Lammies are one of the most keenly sought after awards in the field of GLBTQ writing, so it’s lovely to see one heading over this side of the pond. When you work in publishing, you throw terms around like confetti, just expecting folks to know what they mean. POV, ms, fancy-tagger, white space, conflation. You kind of just figure a writer will know what you’re talking about. I’ve come to realize that’s the case with the term “pitch”. When I tell you to come “pitch your novel to Bold Strokes”, I’m thinking you have an inkling of what I mean. You should come tell me about your book, right? Sure. But how do you actually go about doing that?